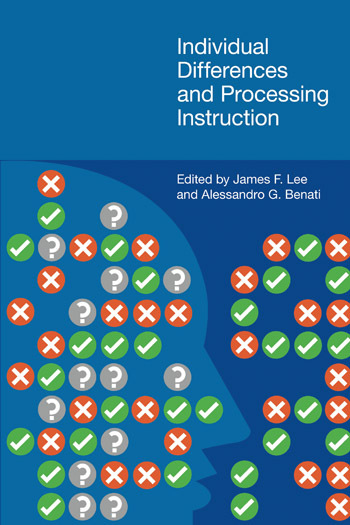 This collection of essays builds on the authors’ previous work and aims to open an additional branch of research in processing instruction, and to stimulate further research. This is the first collection of studies that empirically addresses the role that individual differences, such as age, gender, and native language background, might play in the results generated by processing instruction. This particular volume is highly original in bringing together empirical studies that examine how the outcome of processing instruction is influenced by individual differences.